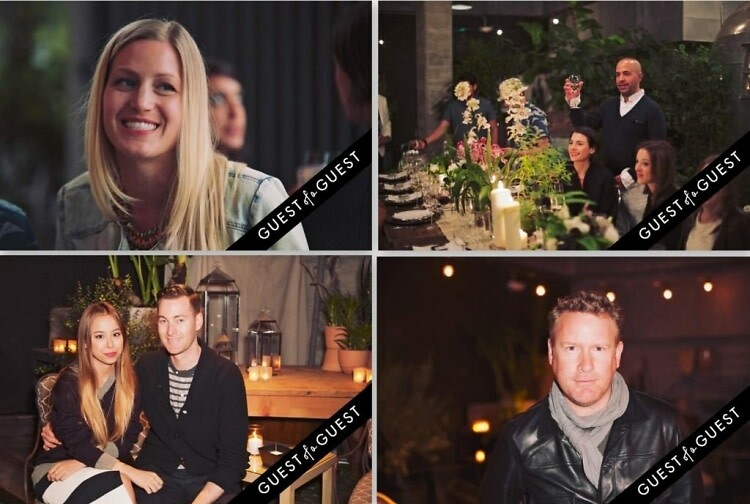 On, Friday June 6, PROJECT, Tommy Fazio, and Todd Snyder hosted an intimate dinner party at the stunning Fiore Gardens located in Pacific Palisades, celebrating the opening of the Todd Snyder Union Made Shop-in-Shop at The Grove. Snyder, a CFDA Nominee, Fashion Finalist, and one of GQ's best new menswear designers of 2012, PROJECT, and Fazio welcomed guests including Teddy Sears from American Horror Story and A Single Man, into the garden for a cocktail hour filled with floral-inspired drinks. After the cocktail hour guests were led to their seats and welcomed by Todd Snyder himself, who toasted to the PROJECT and Fiore Gardens teams for putting on such an amazing event. Throughout the dinner party, guests discussed the exciting events that will be occuring throughout PROJECT's Summer 2014 show season, as well as the latest fashion trends, while being served a locally sourced dinner, provided by Chef Nyesha Arrington. Go HERE for more photos of the event by Eric A. Reid and tag yourself and your friends!